Over 60 members of the public and agency officials participated. The Yuba River is an important waterway and landmark for many locals. It may offer the perfect fishing hole or a place to cool off on a warm summer day, while others might simply drive along it on their commute to work. For the Lower Yuba River Accord: River Management Team, however, the Yuba means so much more. Nearly 60 individuals gathered at SFREC for the 6th Annual Lower Yuba River Accord Symposium on July 15th to dive into the history, management and future of the Lower Yuba River. Attendees listened to presentations and asked questions of those involved in the river's preservation. 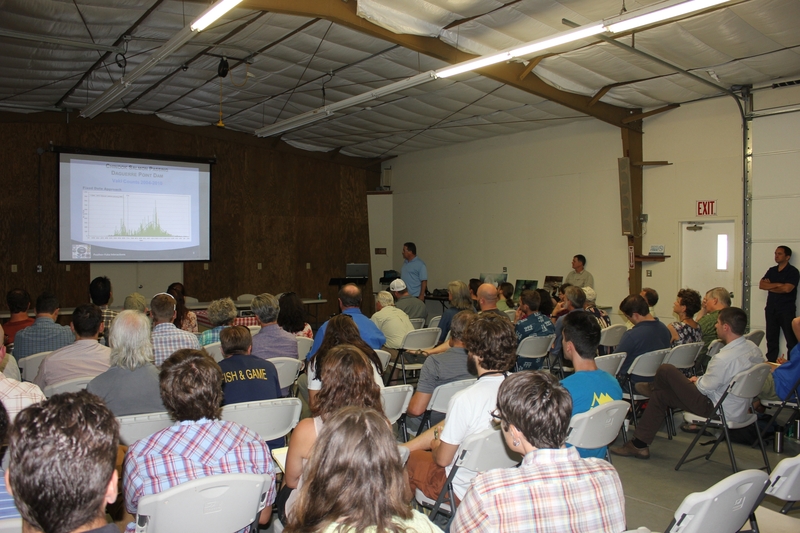 Speaking on the goals of the River Management Team and the current Monitoring and Evaluation Program, Tom Johnson of the Yuba County Water Agency discussed efforts to develop optimum flow schedules, record temperature performance and ensure the smooth implementation of Yuba Accord operations. Dr. Greg Pasternack of the University of California, Davis described over 400 years of geomorphic history and changes to the Yuba River. He also spoke of the Chinook salmon and Steelhead spawning habits, explaining that the Yuba has the capability to support many more spawners than it currently does each year. According to Pasternack, the River Management Team has worked on projects over the last seven years to increase the spawning habitat near Englebright Dam. Looking at the year-round temperatures of the Yuba River, Casey Campos and Duane Massa with the Pacific States Marine Fisheries Commission, talked of what these temperatures mean for the spawning and livelihood of fish inhabiting the river, particularly the habitats of the Chinook salmon. Campos explained that the Yuba River is among the coldest in the Central Valley. 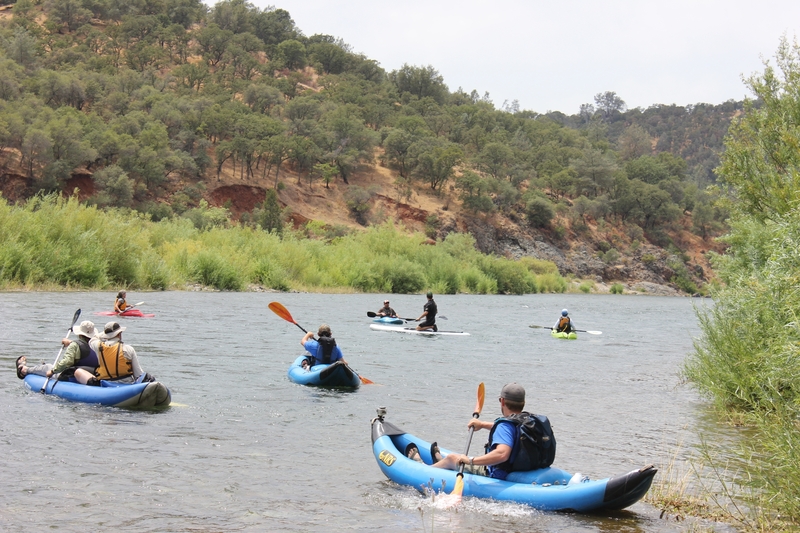 Paul Bratovich of HDR Inc. walked through the interactions between the Yuba and Feather Rivers and how the flows and temperatures vary between the two. Bratovich described how these differences could be attracting fish from the Feather River to the Lower Yuba and the subsequent impact on the fish population. 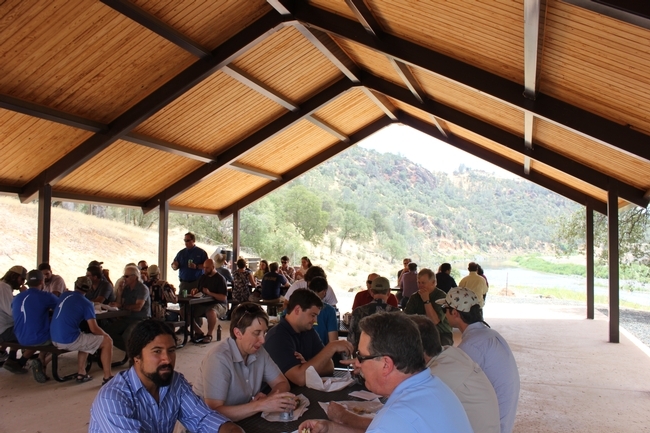 Symposium coordinators, Gary Reedy of the South Yuba River Citizen League spoke on the need for habitat enhancement, giving a summary of previous actions, while Beth Campbell of the U.S. Fish & Wildlife Service (FWS) discussed enhancement initiatives implemented by FWS. The symposium concluded with lunch at the Yuba River Education Center, followed by a float down the beautiful Yuba River. I missed this symposium but I'd happily attend if it is held next year around this time!